As much as I love a braid or herringbone quilt with lots of little strips, sometimes I just don't want to mess with all of those tiny pieces of fabric! I decided to make a quilt with that fantastic braid pattern, but make it with wider strips. This makes it fat quarter or fat eighth friendly, and it goes together in a flash! I used one of Benartex's new fabric lines, Dori, and I love the bright, happy colors. This quilt was fun and easy from start to finish! For the backing, I opted for the Dottie Lime fabric in the Dori line, and of course I used all of the scraps as well! A bright orange binding finished the whole thing off! I'm calling this quilt Coral Reef. Something about these colors and prints reminds me of the surreal colors of tropical water. 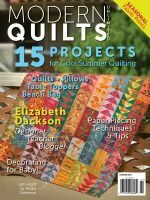 The finished quilt measures 40 x 52- a super-versatile size- perfect for a baby, or for draping across a table for a cookout or pool party. I know we're heading into winter, but in true teacher fashion, I think about summer year-round! Head over to Benartex's blog, Sew In Love With Fabric to check out the step-by-step tutorial with lots of pictures! oh, by the way- Benartex is giving away a FQ bundle of these fresh, fun Dori fabrics! 1. 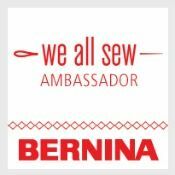 Follow Benartex's blog, Sew In Love With Fabric by bloglovin', email, or another blog reader. You can find those buttons on their right sidebar. Leave a comment here to let me know how you follow! 2. You can like Benartex on Facebook and leave a comment to let me know you did so. **For a second chance to win, follow my blog, and leave a comment to let me know how you're following! Mr. Random will pick a winner next Wednesday, November 6th. Sew In Love With Fabric will be announcing the winner, so stay tuned! *Please be sure that you leave your email address if you're a no-reply blogger, or if you're a Wordpress user. I hate that you Wordpressers show up as no-reply to us Blogger users. I surely do wish they'd fix that! Good luck and enjoy the tutorial! I am now following them on bloglovin. I follow you on GFC (now I use bloglovin). I'm following Bernartex's blog via bloglovin now. Thanks! I follow you via Bloglovin already! Thanks! I love a braid quilt, and the fabrics you chose are wonderful! I follow the Benartex blog by email and GFC. I follow the Benartex blog through bloglovin and FB. I follow your great blog also through bloglovin. I follow Benartex via email and GFC. Your tutorial looks very easy to follow. I am following you via email. I follow Benartex's blog with Bloglovin' and follow them on FB. I follow Benartex by e-mail. I love braid quilts and your tutorial is very easy to follow. I became a follower of your blog by e-mail. Thanks. 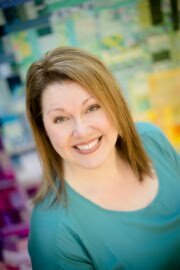 I'm a Benartex follower via email and Facebook -- Just love the quilt Kelly! Love this quilt! I follow Benartex via Feedly. And I follow you via Feedly too! Such fun bright colors! I follow you on Bloglovin! And I like Benartex on FB! HAPPY TO FOLLOW YOU>BLOG LOVIN'! Very cute little project--I am a new follower via email! I follow Bernatex with Bloglovin and on FB. Hello. I follow them on Bloglovin. I follow you on Bloglovin. Super cute quilt, by the way! I've added your giveaway to the weekly link up on my blog. 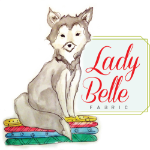 I follow you and Sew in Love with Fabric on Bloglovin. Great tutorial! I already follow Benartex via email and bloglovin and that's how I found your wonderful tutorial! I love how this quilt works up so fast and is a nice manageable size. I now have you on my Bloglovin list! Would love to win this collection of fabric . . . thanks for the opportunity! I follow Benartex via Google Friend Connect. I'm a new follower of your blog via email. Thanks for the great tutorial for a quick and cute quilt. I am already following you on Bloglovin' and also I think also via email, but I will if I am not already. I follow you by email, love your blog! I follow Benartex on FB and my newsletter too! I follow your blog with Bloglovin. Cute design, and good use of the bright prints. I follow you on bloglovin. Love your quilt! I am following Benartex via Bloglovin', email, and FB!! I am already following you via Bloglovin'!! Gosh but this quilt is gorgeous!! I signed up to follow Benartex's Blog through Bloglovin'. So wonderful of them to have you on there! I of course follow you through Bloglovin' as well (and email I think). I was recently gifted a Noteworthy by Sweetwater Fat Quarter Bundle and have been looking for pattern ideas to put it to good use to actually make a quilt for myself for once and this might be a great way to use it up and perhaps add a couple extra braids to make it a bit bigger for snuggling with on the couch. Thank you so much for sharing. I always enjoy seeing your projects, especially ones done with larger pieces of fabric and am in awe at how quickly you come out with new quilts. Thanks again! I follow you with BL and Thanks for sharing the tutorial. I follow Benartex's blog via Bloglovin. I also Like their facebook page. Now following your blog via Bloglovin too. yay, a new blog to check out! now following benartex on bloglovin. I follow your blog on bloglovin too! dori and coral reef - good one. =) very colorful line! your fat braid is awesome. I love a quick but stylish finish. I'm a follower of the Benartex blog (Sew in Love with Fabric) via Bloglovin'. Thanks for the tutorial & the chance to win. I'm a follower of your blog too with Bloglovin'. Thanks again. I'm also a follower of your via Bloglovin'. Thanks for the chance! I signed up for your blog...you are so creative. I also follow Benartex's blog. I follow Benartex on Bloglovin. I follow your blog on bloglovin. Great tutorial by the way! I am a new follower of Sew in Love via Bloglovin'. I follow your blog regularly via BlogLovin'. I follow you via Bloglovin. 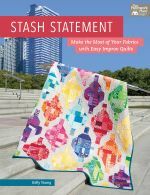 Love your quilt and the fabric! I follow you on Bloglovin, and I love that fabric! I just checked out the tutorial you posted, and I'm looking forward to making that quilt! I also am following the Benartex blog on Bloglovin now, too! Looks like I will enjoy that one, also! I receive Sew in Love by email. I love your Braid quilt. It looks great in this fabric line. I follow Benartex on facebook and on blog lovin'. I follow you on blog lovin' now, too! I follow Benartex on blog lovin'. Your Coral Reef quilt is beautiful and thank you for the tutorial! I follow you on Bloglovin'. Fingers crossed for this, love the fabric!!! I also follow Benartex blog on Bloglovin'! Great tutorial. Thanks you! And, I love Dori. 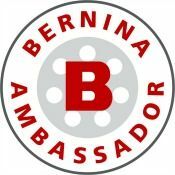 I follow the Bernatex blog. I follow Bernadex on FB. Love this quilt! I'm now following Sew in Love with Fabric via Bloglovin'. Thanks for the chance! I follow your blog with Bloglovin' too! 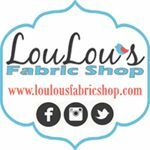 I follow Sew in Love with Fabric through Bloglovin and email, I also like them on FB, wouldn't want to miss anything. I follow Benartex's blog by email and Bloglovin'. Great group of fabrics! I follow you with emails and Bloglovin', too! And probably FB. What can I say? I'm infatuated with your infatuation! Another great finish! I follow Benartex via Bloglovin! I am a follower via Bloglovin! Thanks for the opp! I enjoyed seeing your Coral Reef quilt and loved the bright colors and large braid pattern. The name you chose is right on as usual. I follow you via email. I am a follower of your blog by E-Mail. I love the Braid Quilt and tutorial from 'Sew in Love Fabric" I had purchased two Jelly Rolls of bright colored patterns of turquoise, hot pink, dark brown, and dark lime green. I hadn't found a pattern I liked yet and since I am a "newbie" quilter and wanted something that was not too complicated. I had just signed up for your E-Mail newsletters and there was my answer. Thank you so much, Kelly. I can't wait to start my Braid style quilt. Hi Kelly, I love your blog, I Benertex on FeedBurner. Thanks for all you do. I follow the Benartex via email. I follow your blog via email. Great tutorial, thank you. 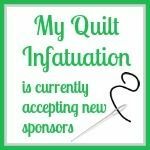 I follow your blog by email because you share so many quilts and inspirations. I love it! I follow the Benertex blog! I follow your blog with bloglovin! Love the braided quilt! Great tutorial,,and beautiful fabric! Thanks for sharing. I follow your blog with email. I like Benartex on FB and follow their blog with email! I follow you through Bloglovin too ! Thanks so much for the tutorial. I love love love your color choices! I follow Sew in Love with Fabric via Bloglovin. I follow your delightful blog via Bloglovin too. I love to visit! Is follow So in Love with Fabric via Bloglovin. Thanks for a great giveaway. I'm following Sew in Love now! Great blog! This is lovely! Going to start following you through bloglovin. Following Benartex! Thanks for the chance to win!! I have been a follower of your blog using Bloglovin! Just discovered you and am a new e mail follower. Likewise the Benertex blog. Would have guessed you are a teacher by the clear instructions for this quilt, which I hope to make very soon. Thanks for the tutorial. I also like braid quilts but not all the little pieces. I'm looking forward to trying your pattern. I follow you and Benartex Sew in Love (with fabric) on Bloglovin'. I <3 this pattern!! :) Perfect for those fabrics that you just love so much you want to see chunky pieces of it, not little snippits! Thanks for the tutorial! I follow you on yahoo. Great tutorial Kelly! The design looks so happy in the bright fabrics!! What beautiful fabrics. I would love to win these. I like Bernatex on FB. I follow by email, don't want to miss a post! 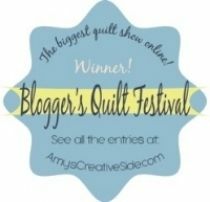 I'm following you by email...love your quilts! How cute! LOVE it. Following their blog now. And I'm following your blog too...thank you. Beautiful Kelly and I really liked your tutorial! I follow Benartex on FB! Thanks for sharing. Beautiful quilt! Thanks for linking up & congrats on another fabulous finish! You inspire me.